Amiee Book will be attending Cal State Fullerton University in Fullerton, California. Cal State Fullerton also known as the Titans play in the Big West Conference in NCAA Division 1. Amiee is from Nelson where she attended Waimea College and played for the Nelson Sparks in the WBC before moving to Middleton Grange School in Christchurch for her Year 13 year. While at Middleton Grange she played for the Canterbury Wildcats in the WBC and was a member of the Mainland Eagles Academy. developing players on the court, they also make sure players are succeeding in the as well. I want to say a big thank you to everyone who has been a part of helping me the player that I am today”, stated Amiee Book. Amiee will be joining Angus McWilliam who signed with Texas Christian University, Quinn Clinton with St Mary’s College of California and Lauryn Hippolite with Hawaii Pacific University who have all signed NCAA scholarships and will be attending US College in June, 2018. 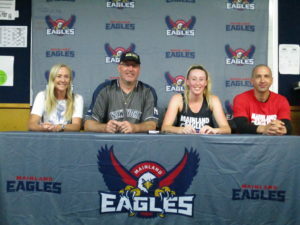 “These 4 signings support why the Mainland Eagles Academy was set up by the Canterbury Rams in the first place, to provide high performance training and US college guidance & placement to up and coming players. 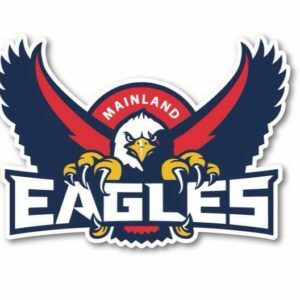 These players come to regular 6am trainings to develop their craft with the top coaches in our area,” stated Mainland Eagles Academy and Canterbury Rams head coach Mark Dickel. academically and basketball wise. He is creating a great family environment both on and off the court. We are very excited to watch this program over the years to come”, stated Ed Book. Williamson and the Canterbury Wildcats by Lori McDaniel. Mainland Eagles Academy and Canterbury Rams head coach Mark Dickel. Tessa’s play Cal State Fullerton. Cal State Fullerton is consistently ranked as one of the top Universities in the state of California and the United States. 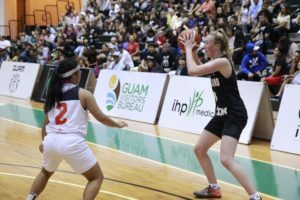 Lauryn Hippolite (Hawaii Pacific), Mary Goulding (Fordham University), Tessa Morrison (Southern New Hampshire), Tessa Boagni (Cal State Northridge), Brittany Richards by way of Otago (Alaska Anchorage) & Zoe Richards by way of Otago (Eckerd College). education & basketball excellence both in New Zealand and the United States.